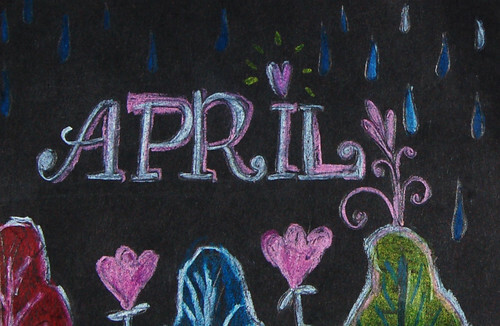 Can you believe that April is soon over? Wow, it just swooshed past me! 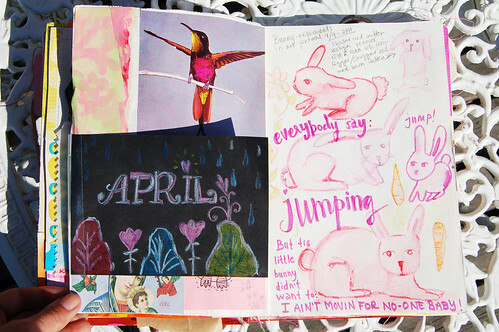 It is a rare thing, sketching in my Art Journal, but it happens. I love pages where one sketch is repeated several times, kind of like a trial of different angel… Though my bunnies turned out quite different, so it’s more of a flock of confused individuals. Wanna draw something but think you can’t? Well, if I can try it so can you! Feel free to jump in! This entry was posted in Art journaling, Draw & doodle and tagged art journal peek, drawing exercise. Bookmark the permalink. Love, love, LOVE your darling bunnies :D Thanks for sharing!! The bunnies make me smile and think of one of my cards in the swap. When I made it I was sooooo waiting for spring and then the snow started falling. The result was that I had to glue small dots onto the card and draw small snowflakes on them. You are as inspiring as always! sweet bunnies ! I love Carla’s lessons. She sure brings the silly out of you ! Happy final days of April ! Lots of yummy goodness here! I love Carla. 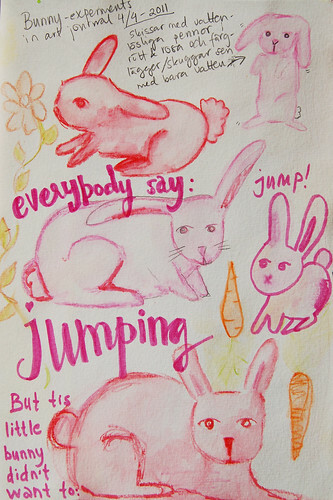 Your bunnies turned out jumpy-sweet! I love your bunny page. They are all so sweet! 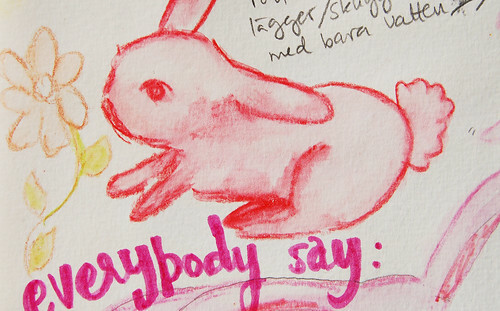 This page of bunny sketches – charming and funny and sweet and – well I guess you can tell I love it! I love that cute little bunny, Hanna! You are so committed to creativity – I love it! Hope you have a great weekend and enjoy these last days of April!